Johannesburg - Retired boxer Macbute “Macman” Sinyabi is looking forward to being officially honoured by Xaba Boxing Promotions and Events for his contribution to boxing. Xaba Promotions will celebrate Sinyabi and its 10th anniversary with an international boxing tournament at the Orient Theatre in East London on December 8. 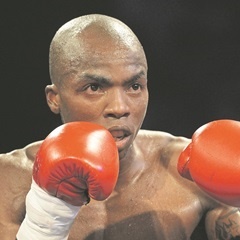 Topping the bill will be an International Boxing Federation intercontinental junior featherweight contest between Joburg-based titleholder Lodumo Lamati and Alexis Boureima Kabore from Burkina Faso. Promoter Ayanda Matiti said Sinyabi would be presented with 30% of all the gate takings at the tournament. Sinyabi is a former South African junior featherweight and International Boxing Organisation featherweight kingpin. Arguably one of the country’s most polished boxers, he retired from the sport in April after an illustrious career. The 30-year-old pugilist from Mdantsane secured 29 wins – 20 by knockout – and five defeats in 34 fights. Matiti promoted Macman during the last years of the fighter’s distinguished run. “I feel highly honoured to be recognised and rewarded by Mr Matiti for my contribution to boxing,” said Sinyabi. “This gesture from a promoter is the best thing that can ever happen to a former boxer. I’m looking forward to cherishing the moment". His most notable defeat came at the hands of Azinga “Golden Boy” Fuzile, who dethroned Sinyabi as the national featherweight title holder in East London in September last year. Sinyabi hopes to be mentored by Matiti next year to become a boxing promoter himself. “I’d like to plough back into boxing because there is an abundance of talent in the country,” he said. Matiti feels Sinyabi has done a great deal for boxing and therefore deserves recognition. “He was one of the most disciplined and dedicated athletes that our promoting body has ever signed. We are proud to announce that a portion of the gate takings will be given to him and his wife,” Matiti said. He added that they would also award current and past champions produced since 2007. “A gala dinner will be held on December 10 at a venue yet to be disclosed, where the awarding will be formally done,” said Matiti.